On 9 November 2017 we leased a Chevy Bolt EV for about the cost of a cell-phone plan. We chose the base model, the LT, with fast-charge option, heated front seats, and heated steering wheel. In our experience, these items should be standard on all electric vehicles (EVs) even in sunny southern California. The next day we returned our 2015 Nissan Leaf that was at the end of its three-year lease. The reasons why we returned the Leaf and chose the Bolt are recounted in Why We Moved to a Chevy Bolt from a Nissan Leaf. We had been weighing a new EV for some time. So I'd been following the lease deals throughout California posted on ev-vin.blogspot.com. The website's owner periodically polls car dealers offering EV leases in CARB states. This is a valuable public service, enabling consumers to compare leases from one dealer to the next. The site strips out taxes and other fees so that the leases are equivalent. As a result, the price you pay for a lease won't exactly reflect what you find on the web site. On the other hand, you are much less likely to overpay when you know what competing leases are going for. With knowledge of the lease deals across California, I contacted several dealers in Los Angeles and the Bay areas. Unlike our Nissan Leaf's range, the Chevy Bolt's is great enough that we could lease it anywhere in California and drive it to Bakersfield. When we leased our Leaf, we had to have it shipped to us. I also gave our local Chevy dealer, Three-Way Chevrolet, first right of refusal if we found a lease we liked. Anyone who has done this before knows dealers are hungry for sales. They need to "move metal" as they say. Within a few hours of my email query, dealers were calling me from around the state with initial offers. We didn't bite because we knew where the market was, what we wanted in terms of options, and what we likely would have to pay. Two dealers in Southern California came back with more serious offers. So we countered with what we wanted to pay. I also pitched this to the local dealer. The local dealer called back the next day, meeting our offer. The other dealers were close, but the local dealer was more responsive. 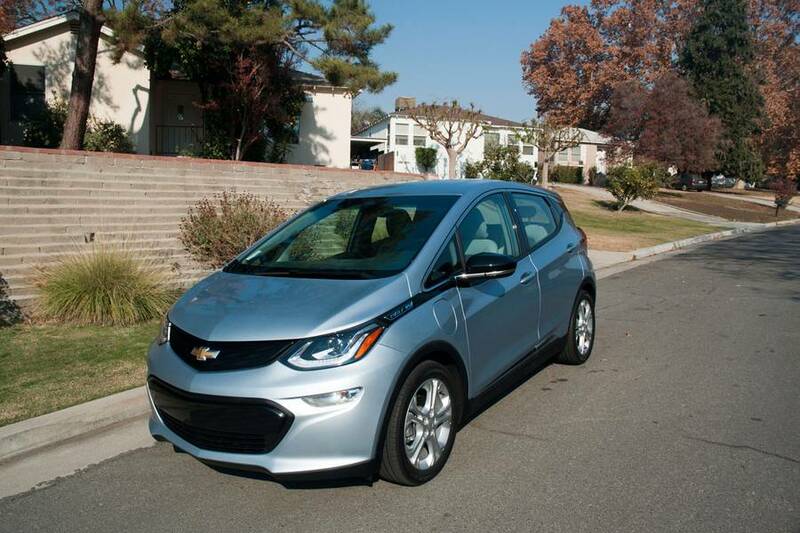 The local dealer has an EV specialist who has been active in promoting EVs here in the oil capital of California and had informed his management that savvy buyers knew what other dealers were offering across the state. However, he only had white and my wife, Nancy Nies, balked. She wanted something other than white. So we asked the dealer if he could find an "arctic blue" Bolt that he could get for us. In the meantime I told a friend in the Sierra Club that there was a car on the local lot that we were not going to take. He called the dealer and went over, leasing the car the next day. Subsequently, the dealer confirmed that they could get a blue one. When the car was delivered a few days later, we went to take possession and sign all the paperwork. 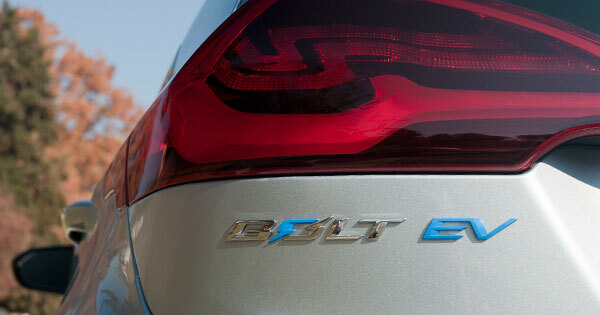 The lease process for the Bolt was just as painless as it had been for the Leaf. There were no last-minute additions, no change in the options, no "but you have to have this" added on at the last minute. The car "had all four wheels," as I like to say and the all-important DCFC port. The EV specialist walked us through some of the electronics and "paired" my phone with the car. We leased the car for three years, the minimum in California to qualify for state and regional subsidies. The lease limits us to 10,000 miles per year as I had stipulated. We paid no money down, and no "drive-off." We pay 250 per month in total or 9,000 for the life of the lease. We have already received a $500 subsidy from our electric utility. We've qualified for a $2,500 subsidy from the state of California and we expect to receive a $3,000 subsidy from the San Joaquin Valley Air Pollution Control District (we live in the most polluted region of the country). The net cost of our lease is $3,000 ($9,000-$6,000) over the course of three years. For $84 per month--about the cost of a cell-phone plan--we can drive a Chevy Bolt LT with DCFC, heated front seats and steering wheel, and the driver's confidence package. The latter wasn't needed and wasn't part of our requirements. That's the way the car came from the assembly plant in Michigan. Our lease on the Chevy Bolt is $1,800 less over the life of the lease than we paid for our Nissan Leaf, a car with one-third the range. There are other costs of driving electric that are not included in the lease. Since this was our third EV, we had already paid for all the gear necessary to charge the car. What we didn't need to buy this time around was our home charge station, or electric vehicle supply equipment (EVSE). We'd installed a ClipperCreek HSC 40 on the side of our house to charge our Leaf. The ClipperCreek is a simple unit. It has four indicator lights and that's it. There's no wireless communication or controls, but it's made right here in California and it works--reliably. We also don't need to buy a portable charge cable to carry with us in the car. Of course all EVs come with one. However, until recently these were only 120-volt chargers, only suited for emergencies when there was absolutely nothing else available. The portable charge cable that comes with the Bolt can be used on 240 circuits with the right adapter for about $100. The 2018 Nissan Leaf will come with a 240-volt EVSE and an included adapter for 120-volt circuits. With our Leaf we'd sent the portable EVSE that came with the car to EVSE Upgrade that modified the EVSE to work with 240 volts for about $400. Later we chose to buy a premium portable charge cable for about $1,000 that would allow us to charge at the full capacity of the Leaf while on the road. See Jesla High-Power Mobile Charge Cable (EVSE) for EVs. With the greater number of Level 2 and DCFC stations in operation now there's much less need for a powerful portable charge cable. If you're taking a road trip where a high-power charge cable might be needed, you can either borrow or rent one. Our ClipperCreek HSC 40 cost $650. Because we needed to install a circuit on the side of the house where we wanted to mount the EVSE, we needed to hire an electrician. Altogether, we paid $2,500 for the EVSE, its installation, and the wiring of a new circuit. This price included some hardware not normally needed. I wanted a circuit breaker near the EVSE to simplify resetting the EVSE if it tripped off for some reason. This has turned out to be a handy feature of our system. I also wanted a kWh meter to monitor the EV's electricity consumption. I also had the electrician install a NEMA 14-50 outlet, should a Tesla ever stop by. If there's an adequate outlet already available, you could install an EVSE to charge your car for less than $1,000. We've put about 500 miles on our Bolt and completed our first road trip. And we're planning more. More articles in this series.